Be a business owner, control your time and income. I have spent the last 3 days in Fort Lauderdale Beach enjoying the bright sun and the warm ocean. Ft. Lauderdale is a great place to decompress. Someone about the sun and ocean air makes you feel like excercise got and eating Healthy. I had water and fruit several times for lunch. 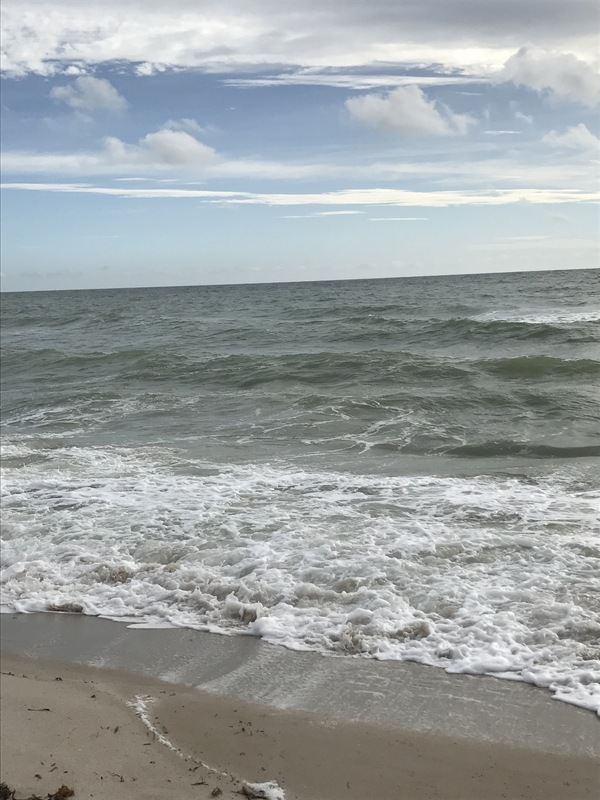 The beach is bouncing back from Hurricane Irma. Crews are busy cleaning the streets and restoring the beach. Man these kids have real beach toys! 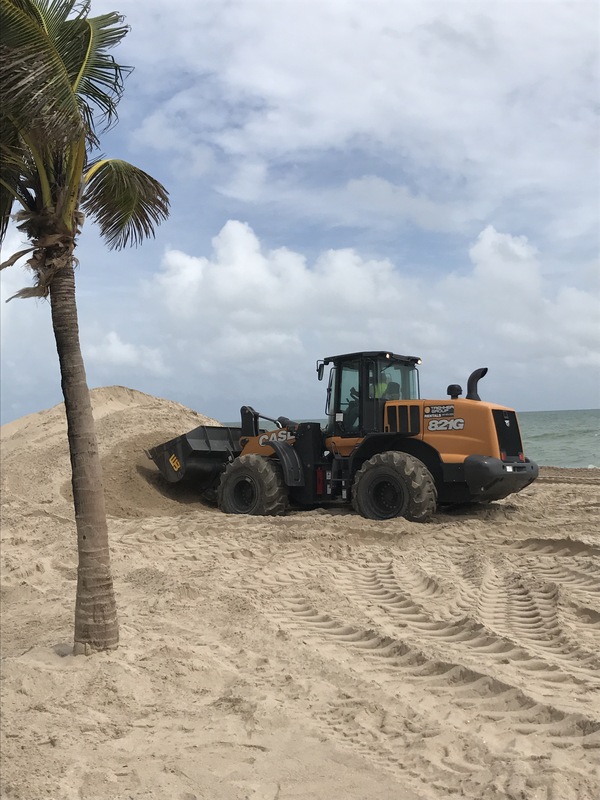 The crews are restoring the beach by returning the sand to the waterfron and screening the sand. 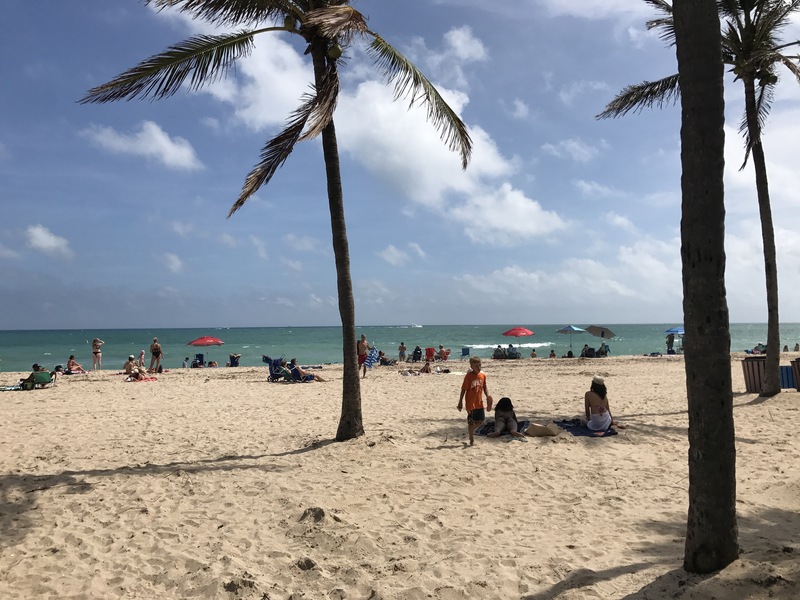 The beach is a major economc attraction and it looks like the city is spending the money to make the beach beautiful again. I usually stay st the Bahia Maha, Doubletree Hotel because of their pool and east access to the beach. This visit the Doubletree was all booked up and under repair. I found a nice room at the Royal Palms Hotel for $100.00 per night and located only two blocks from the beach. The hotel is clean, has 2 pools and reminds me of classic art deco hotels. I was able to take the free bar hopper shuttle or Lyft to the resturants and bars . The ElboRoom was packed with people And had a live band playing Rick. Next door to the Elbow room there was a live acoustic guitar player / singer and a Tango dancer which was very entertaining. I recommend eating at Coconuts Resturant which has amazing food. I enjoyed coconut shrimp, salad with hearts or palm, fresh dressing and a tasty blackened Snapper. There is a little bit of a wait but the waterside bar will help you pass the time.